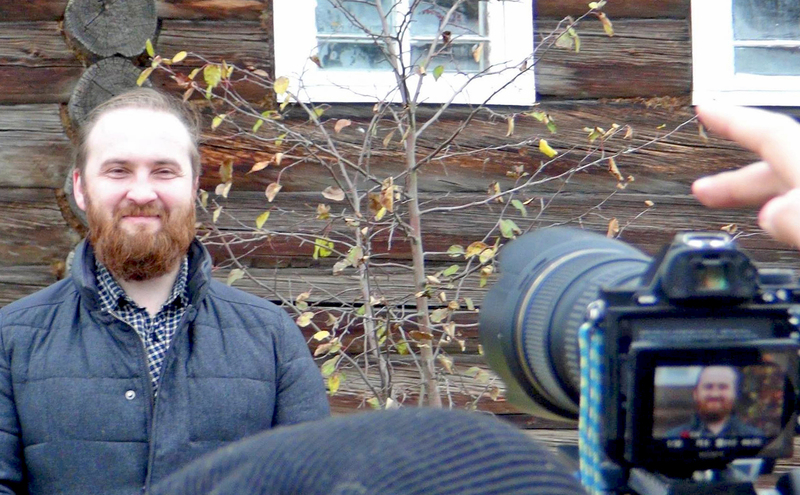 Entrepreneur Mikhail Bronsky is credited with giving the village a second lease on life. Today northern and central Russia is a wasteland of deserted villages. Poor soil and a harsh climate have not been kind to the agricultural business. After the collapse of the USSR when the system of resident registration in Russia became optional in practice, most people left the countryside for cities and towns. Suburban areas have replaced rural districts as holiday villages for summer and weekend accommodation. Nizhnezolotilovo in the Arkhangelsk Region used to be a typical Russian village on the verge of disappearing, with just four aged residents living there. Just a few years ago two of them would leave the village to spend the winter in town, while the other two would take turns skiing to the only place nearby to purchase food supplies. But suddenly everything has changed. Young families started coming to the village to settle down and build their own houses. Currently as many as 16 people stay here through the winter and there is reason to believe that the number will only get larger. Entrepreneur Mikhail Bronsky is credited with giving the village a second lease on life. Ten years ago he started producing Ivan Tea, an organic tea produced from local willow herbs, later turning his hobby into a business. Within two years Mikhail created nearly 60 jobs and has saved the village from extinction. He founded the Bronsky & Co tea manufacturing company, which owns the Chudny Chai and Bronsky Chai tea brands. Since tea harvesting and stockpiling is a seasonal task, Bronsky aims to develop a crafts and tourism business to provide winter employment. Bronsky & Co is a great example of social entrepreneurship. The company aims to create as many jobs in the villages of the Arkhangelsk Region as possible, because many unemployed people are forced to leave the area for the cities. According to the Agency for Strategic Initiatives, only 1 percent of Russian companies operate social enterprises. As a concept social businesses have been around since the late 1990s, but their expansion has happened mostly over the last eight years. Foreign social enterprises rely on tax benefits and grants, however, Russian legislation has no specific term for “social entrepreneurship.” Therefore the only potential governmental support for Russian companies comes from one of the funds set up by the state to help small businesses. Another challenge for social business in Russia is overcoming the enormous difficulties companies have to face at their own cost. Over a period of eight years Our Future has invested funds in 150 social projects. Recent research by the Center for Social Entrepreneurship at the Higher School of Economics found that nearly one third of social enterprises in Russia are located in Moscow and St. Petersburg. Others are scattered throughout the country, mainly supporting disabled people and preschoolers. The cross media project Life Work (Delo zhizni) began in December 2015 on the eve of the Year of Cinema in Russia. The project consists of 11 short films about social entrepreneurs across the country. Here are the trailers of the first 3 films.